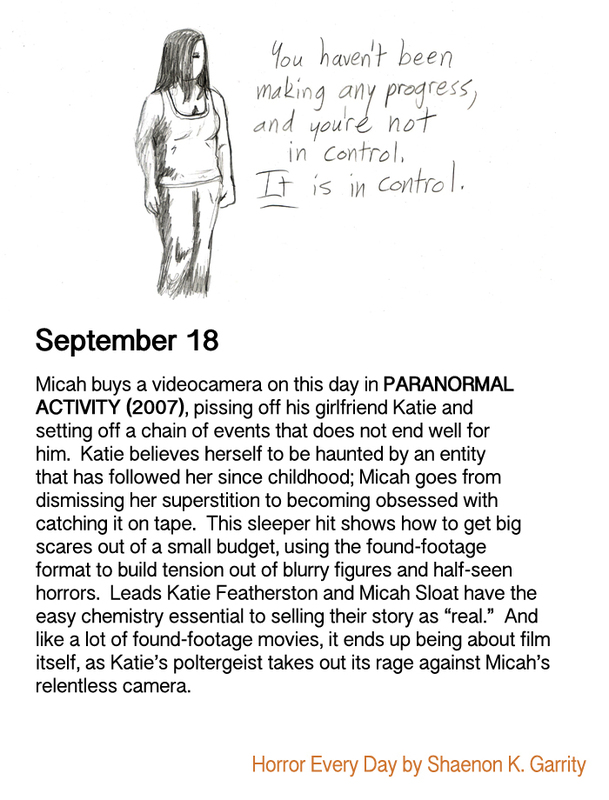 “Found footage” is a favorite horror movie sub-genre of mine, even going so far as to see really bad & boring ones. PARANORMAL ACTIVITY is not bad or boring (I re-watched it about a week ago), but they do improve rather markedly after this one. The best found-footage movie to my mind is SAVAGELAND, which scares and horrifies you with just a few dozen grainy, B&W photos. The story that ties all the Paranormal Activity films together is actually pretty cool, but it’s difficult to figure out just by watching the movies. I didn’t realize the ways they all fit together until I read about it somewhere online. I’ve only seen a couple of them, so I might have put more of it together if I’d seen more of them. The first one is my fave so far, tho.